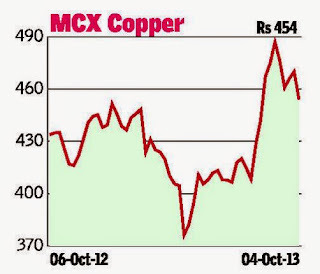 The MCX gold contract has been range-bound between Rs 29,277 and Rs 30,850 over the last three weeks. A breakout on either side of this range will decide the direction for the near-term. A strong rise above Rs 30,850 can take the contract higher to Rs 32,500. On the other hand a break below Rs 29,277 can see the contract declining to Rs 28,500. Technically, the bias is bearish and Rs 28,500 can be tested in the coming days. The area around Rs 28,500 is a very critical medium-term support, which if broken, can take the contract further lower to Rs 25,000-24,500. Conversely, a bounce from Rs 28,500 can see a rise to Rs 30,000-31,000. 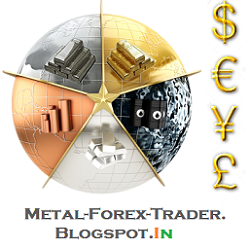 The MCX silver contract remains weak and has closed 3 per cent lower for the week. Although the 200-week moving average support is at Rs 47,754, the overall outlook is weak and near-term downtrend remains intact. The contract can fall to Rs 45,500-44,500 in the near-term. Resistances are at Rs 48,500 and Rs 50,000, which can cap the upside if there is a rebound from the 200-week moving average support at Rs 47,754. The medium-term outlook is also bearish. A decline to Rs 41,500 is possible over this period. Strong resistance is in the Rs 52,000-53,000 region. 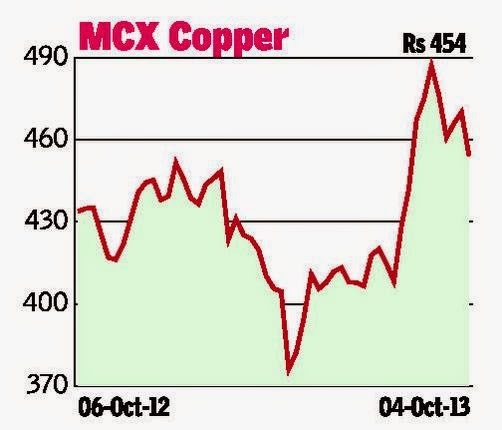 The MCX copper contract has been ruling in the Rs 450-470 range for the third consecutive week. This week’s price action suggests that the contract can break the lower band of this trading range and fall to Rs 430 in the near-term. Failure to break below Rs 450 can take the contract higher to Rs 470, the upper end of the range. For the medium-term, Rs 430 will be a crucial level to watch. A break below Rs 430 can take the contract further lower to Rs 400-380. On the other hand, a bounce from Rs 430 can see a rally to Rs 470 initially and then to Rs 500-510. The MCX crude oil contract traded flat in a narrow range of Rs 6,340-6,480 last week. Immediate and significant support is at Rs 6,300 which can limit the downside. There is very little likelihood of the contract declining below the immediate support at Rs 6,300. There is a good chance of a bounce-back rally to Rs 6,600-6,700 in the near-term. The medium-term outlook is bullish while the contract remains above Rs 6,300. A strong bounce from the support at Rs 6,300 will have the potential to test Rs 7,000 or even Rs 7,500 on the upside. In case the contract breaks decisively below the immediate support at Rs 6,300, then the outlook will turn bearish for a fall to Rs 6,000 and lower. The MCX natural gas contract fell sharply by 5 per cent last week. The immediate outlook is bearish and the contract can fall to Rs 200. Resistance is at Rs 230. However, the medium term outlook is bullish for the Natural Gas contract which is trading in a bull channel for more than a year. The channel support is near Rs 200 which might not be broken easily. There is a good chance of a fresh up-move beginning from the channel support at Rs 200 which can target Rs 260-270 on the upside.